– yet every day American forces forage for those same tired and poor individuals with the intent of casting them out of this country. Founded on the ideals of liberty, equality and brotherhood (modeled after the French Revolution) America shook off the shackles of England’s tyranny and declared itself a free nation; a free nation that championed a brutal system of slavery for over 400 years. 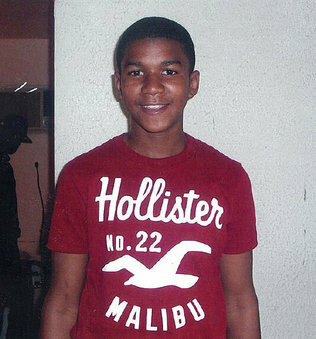 Now, interred in that same spirit of contradiction, comes the case of the murder of Trayvon Martin, a 17 year old child who was walking back to the home of friends from a convenience store and subsequently shot for “looking suspicious.” This case should therefore serve to sadden us, but not truly come as a surprise. 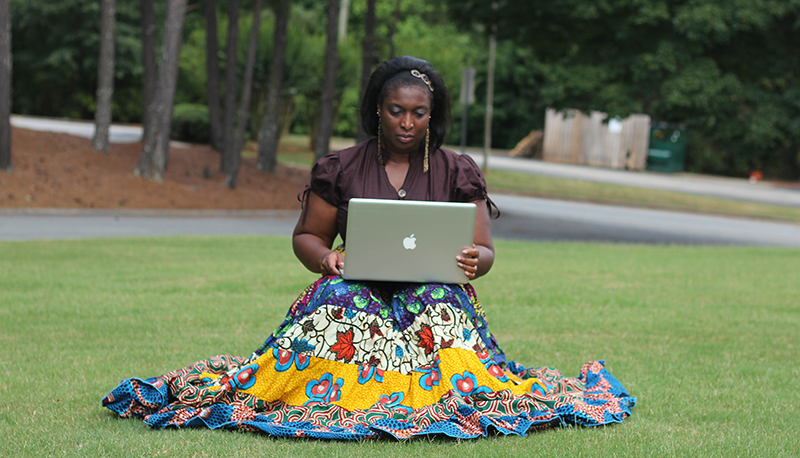 To my great delight, Trayvon’s murder has garnered a global outcry, as well it should. Gone are the days when humanity largely existed in isolation. With the advances in communication and travel methods, our world has become smaller and smaller. Our borders do not protect us from the events happening in other corners of the globe. When there is an uprising in the Middle East, we all feel it. When there is a tsunami in Japan, we are all devastated. When a man pursues and fatally shoots an unarmed teen, it resonates with every person in possession of a soul – or at least it ought to. As the details surrounding the events leading up to Trayvon’s murder become more public, so ought to become an increase in concern for anyone who does not settle nicely into what a trustworthy human being looks like, at least in the state of Florida. Shielded by local law enforcement and “Stand your Ground”, the now infamous George Zimmerman has still not been arrested because there is no evidence to show that he did not kill Trayvon in self-defense, according to Sanford’s chief of police. Indeed, there WAS no evidence…until this morning, when a 16 year old girl revealed that she was on the phone with Trayvon who told her he was fleeing a strange man who was hounding him. Had the police checked his phone records, they would have discovered this. Instead, they treated him like the criminal and suspected drug addict that Zimmerman accused him of being; Zimmerman, who was a complete stranger and who has no powers of repute, other than effective stereotyping. Why should this be of concern to you? Because this could potentially happen to you or someone you hold dear. Florida is a state that attracts visitors from around the globe. Miami, Busch Gardens, Disney World and its numerous vacationing and tourists’ spots make it worthy of its renowned reputation as a place to unwind. It is also a state that enacted the Stand Your Ground law, which essentially reverses the idea that a person who feels threatened should flee their attacker and gives them the right to inflict harm a perceived assailant, fatally if need be. Since this law was enacted in 2005, several would-be homicide cases have been dismissed and the shooters have gone free. The details of those cases are unknown to me, but I do know that in Trayvon’s case he was the hunted and Zimmerman the attacker, not the other way round. As time goes on this is only going to become more evident. Over America’s tumultuous history, certain segments of society have been viewed as less than favorable or just downright “dangerous”. Then seen as enemy aliens, the American government seized the assets of Japanese Americans and sent them to internment camps during WWII. When the Irish first settled in this country, they were castigated by fellow Caucasians who saw them as little better than niggers. Today, ordinary Arabs (or anyone blessed with features resembling Arabs) are vilified for the attacks on September 11th , when none of these people had anything to do with those attacks at all. Native Americans, Mexicans, Blacks…we all have a cross to bear when it comes to how the majority in our society views us. The problem is when that view transforms into something lethal. We cannot condone a system that says it is alright for one person to shoot and kill another, simply because he/she does not like the look of that person – and that is precisely what the police in Florida are doing. If we remove the lens of race from the details of this case, the conclusion would be no different. What George Zimmerman did on that day was wrong, and what the Sanford Police Department did was deplorable. Trayvon was lost and scared that day, and Zimmerman’s bullet tore into the flesh of a kid whose last cries were a howl for help and a cry for his mother. If Trayvon had been a 17 year old girl Saudi walking the neighborhood in a hajib, Zimmerman would still be wrong. If Trayvon had been a 17 year old Hispanic boy with spiky hair and tattered jeans, Zimmerman would still be wrong. If Zimmerman were Black and Trayvon white, Zimmerman would still be wrong! All it will take for this tragedy to be repeated again will be pervasive prejudice residing in the mind of a deranged individual with a right to carry a firearm and an itchy finger. If we don’t demand justice and real change, I suspect that there will be many other Trayvon’s before the year is out. This morning my 3 year old son, lumbered into my room, rubbing the sleep from his eyes and seeking a hug. I picked him up and nuzzled my nose into his neck. He smelled musty, like he’d been playing outside in the rocks and dirt that are a little boy’s constant companions. I whispered “I love yous” into his ear and we gave each other a series of high fives. As they often do, my thoughts turned immediately to Trayvon’s mother, who will never again be able to hug her son or audibly express her love for him. I can’t imagine what her life is like today. I pray often that I never have to. On the right side of this page, you will see a link to sign a petition demanding that George Zimmerman be brought to justice. He must be charged with a hate crime, for what he did that day was purely motivated by his hatred/prejudices against a certain race…the same as my son’s. If you believe in righteousness, please sign it. Take a stand and make your voice heard. Any human who has been the subject of prejudice knows that it is imperative that we all speak out. You may be protecting another child who might suffer the same fate as Trayvon otherwise.